To get expenses automatically imported from your banking, you can connect your credit cards, bank accounts and PayPal accounts in the Bank Connections area. Note: Setting up a Bank Connection can only be done from the web currently. From here, you can go to the Expenses section and start organizing your newly imported Expenses. To look for Expenses that have not been assigned a Category, you can click on the search box, check off both Imported expenses and Uncategorized expenses before hitting Apply. We recommend checking your Bank Connections on a regular basis to ensure your Expenses are consistently importing with no errors or actions required by you. 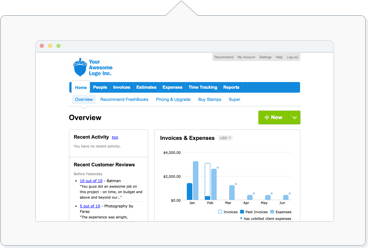 Once you enable this, FreshBooks will recognize imported Expenses from the same Vendor and will categorize them with the remembered Category moving forward. The Vendor field must be filled out in order for the auto-categorization to work. Looking for more information on your Bank Connections? Go here instead.